When you think about creating a garden for your home, you start by thinking of what you’re going to put in the ground. That’s all well and good, but it’s important to remember that an outdoor garden is just like any other indoor living space in your home. You can’t just think horizontally, you’ve also got to think vertically. This is especially the case if your backyard garden incorporates something like a fence or tall climbing plants. One of the best ways in which you can “fill” the vertical space of a garden is by incorporating hanging baskets and planters. While you could certainly buy something off the shelf at your local gardening supply store, perhaps you shouldn’t! That’s because there are a number of different items, some of which you might have lying around right now, that can be easily repurposed into beautiful recycling planters and hanging baskets. 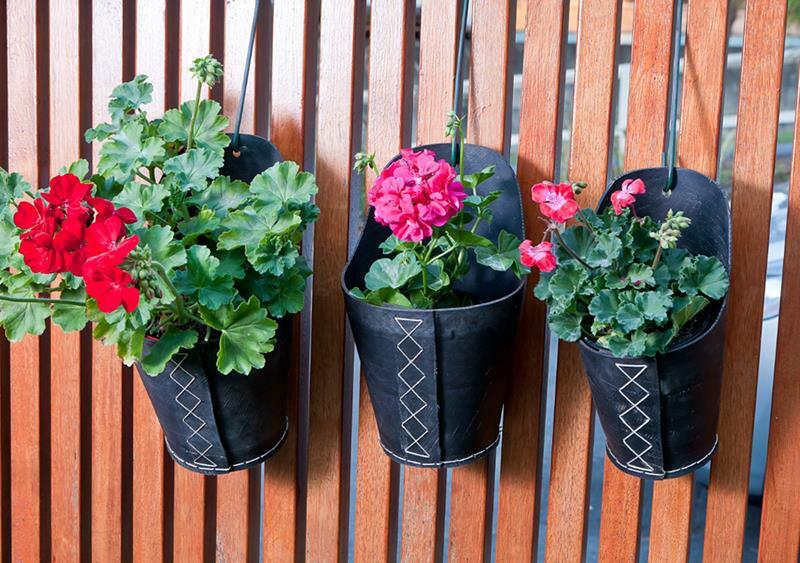 To show you what we’re talking about, we’ve collected 19 of the most inspirational ideas for recycled planters and hanging baskets. If you were thinking of going out to buy something over the counter before, then we guarantee you’ll be thinking about repurposing a number of things you already have by the end of this list. Enjoy! 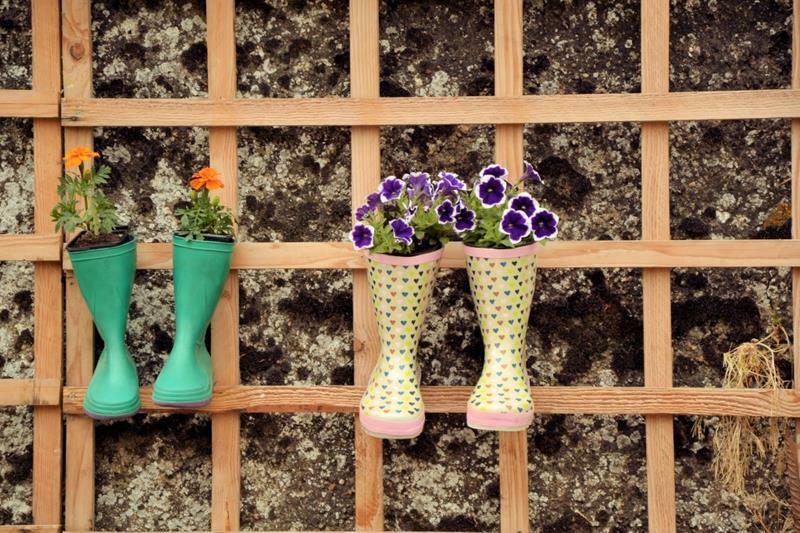 Simple rubber rain boots can actually make incredibly durable hanging baskets and outdoor planters. 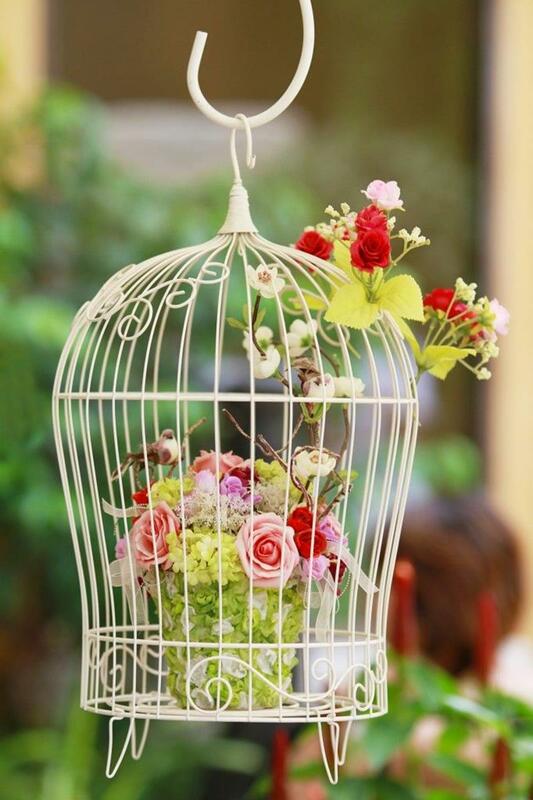 Another unique piece that can be recycled into a hanging basket or planter is a birdcage. Totally cool, right!?! 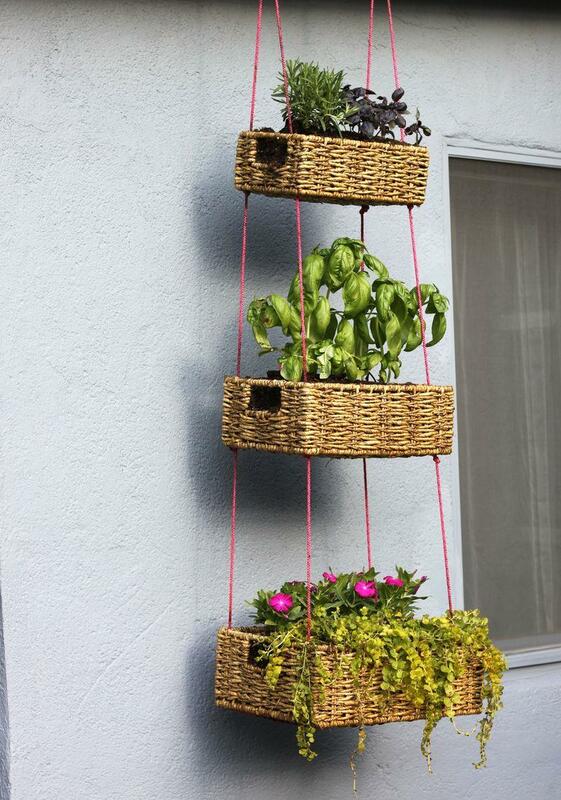 With just a little bit of work, you can take multiple baskets and hang them together by running rope through them. 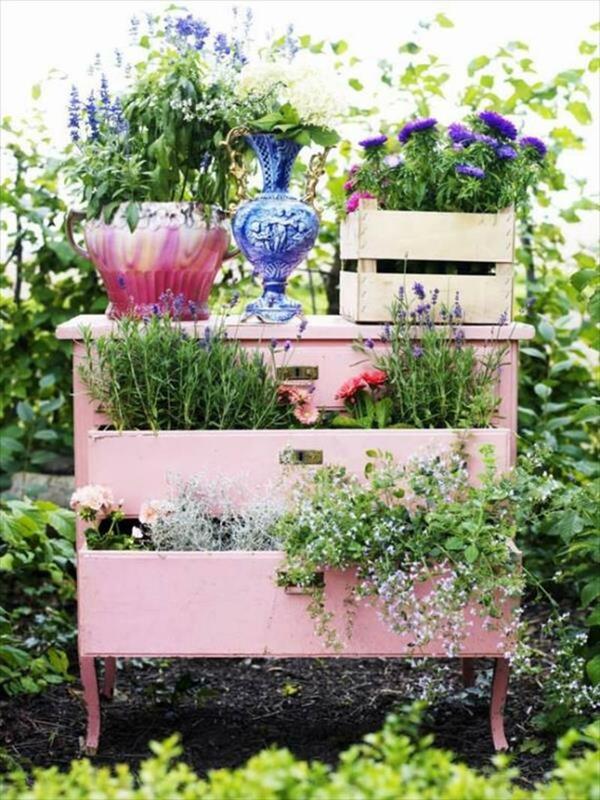 Before you haul off that old dresser to the dump, why not give it a fresh coat of paint and turn it into an outdoor planter?